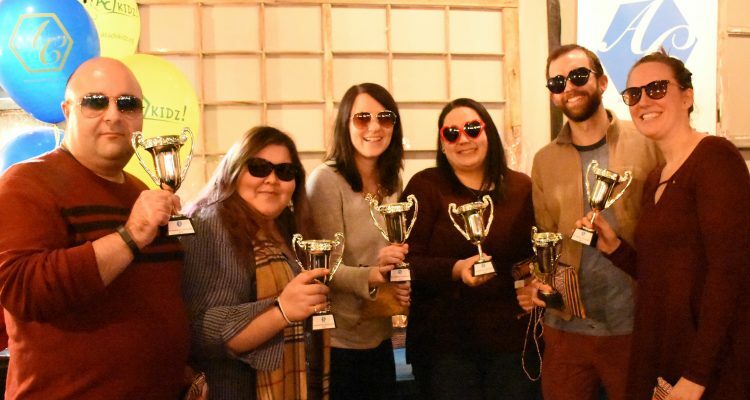 Académie de la Capitale’s annual school fundraiser, AcadeQuiz, is coming up! From year to year, this event has been made possible and has been successful due to the support we have received from local businesses, and our school community. We greatly appreciate all the contributions that you have made, and the support you have shown. It’s that time of year again, where we would like to ask for your help in continuing to make this fundraiser a success. How can you support the fundraiser? Consider making a donation to our silent auction or become a sponsor of our event. Attached is the sponsorship brochure for your convenience. There is something in it for you too! Sponsorship comes with many perks, as you will see in the attached brochure. Donating to the silent auction will get you shout outs on all our social media outlets, a potentially great form of advertising for you and your company. Both sponsorship and donations to the silent auction will get your business name listed on our fundraising website. Please visit acadequiz.com for more information. If you’d like to make a donation to our silent auction or become a sponsor, kindly email Nora at nora.ibrahim@acadecap.org. WHO: The AcadeCap community, including extended family members and friends. WHAT: A trivia quiz game played with teams, a silent auction, door prizes, a cash bar, 50/50 game and lots of fun! WHY: To raise funds for AcadeCap and its students; this year, funds raised will be used to purchase new and exciting gym equipment for our new gym as well as a defibrillator to keep on our premises. 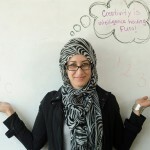 My name is Nora Ibrahim and I am currently teaching senior Kindergarten and Grade 1 at Académie de la Capitale. I joined Académie de la Capitale in 2009, teaching students aged 3-6, definitely the best and, may I add, funniest age group! This job comes with great responsibility and equally great reward! My students' learning is my top priority and I hope to foster a love of learning and help them build a foundation for their years to come by the end of each academic year. This blog is full of the daily, weekly and monthly adventures that go on in my class! Enjoy! No Comments on "AcadeQuiz: Académie de la Capitale’s Annual School Fundraiser"